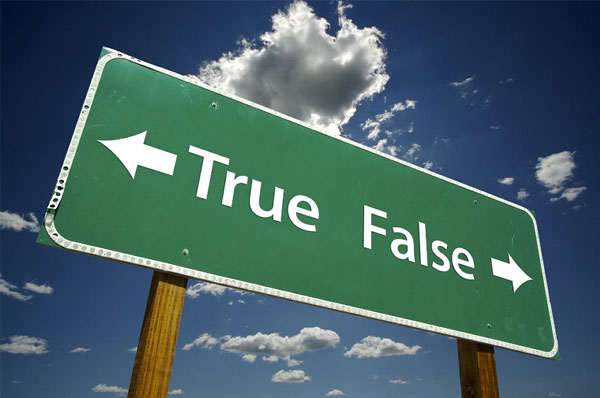 In the sport of sailing, there are common myths that are “known to be true”. Unfortunately, some of them are wrong or inaccurate, and believing them can adversely affect performance. The reason for many of these myths is that there is no simple way to measure, so a rule is created, and over time becomes a myth. In this post we will visit some of them and try to assess their validity and severity. It is true that weight aloft affects performance by reducing righting moment. However, since the penalty is unknown (but knowable thanks to the VPP), the standard sailor rule is “ANY weight aloft MUST be avoided at ALL costs”. Better safe than sorry. If you are going to put something aloft, it better produce more value than the penalty its weight carries. In order to determine the penalty of weight aloft, we asked Clay Oliver (the premier VPP dude of the universe) to estimate the performance hit. To see why you should sacrifice 0.0003 knots to the instrument gods, see Wind instruments win races. Another common myth is that wind instruments are inconsistent, so they aren’t useful. This “inconsistency” is actually an important signal that will increase performance when known and understood. Shear and gradient is a universally existing natural phenomenon caused in part by the earth’s atmospheric boundary layer. If you don’t know about this, it’s just “damned wind instruments” and you don’t get those important clues that tell you what’s really going on. And you are unhappy. Wind gradient makes the boat slow and shear makes boatspeed and wind angle different on the opposite tack. Both require sail trim to be adapted. When you know about shear and gradient, you can adjust sail trim and target speeds to compensate. And you will sail more efficiently and gain against those who don’t know about shear and gradient. And you’re happier. For more on wind shear and gradient, see Understanding Shear, How to Determine Shear and Wind instruments win races. Polars are certainly necessary for optimal routing, but they are even more useful for the short term. Target speed improves tacking by coordinating between helmsman and trimmer, and provides the best metric for fastest sailing point up and downwind. Polars are also crucial for calculating the Wally, which is a way to gain from wind shifts that are too small to tack on. They provide boatspeed prediction for the next leg that allows calculation of apparent wind angle and speed so the crew can set up properly. It is incorrect to assume that inland water (i.e. the Great Lakes) doesn’t have current. Lake currents are unpredictable when compared to salt water currents, and currents of ½ knot and more are quite common (which is 50 seconds/mile). Not knowing what the current speed is and where it’s going can hit your performance hard. You need to know what the current is doing. Read the next one about the implications. Boats respond to wind which is always changing. With a GPS alone, you don’t get this vital information. In addition, you can’t calculate current or accurately measure wind direction. These shortcomings hobble performance monitoring. Read on. Why go to all the bother and expense of installing paddlewheels and a compass when you could just use a GPS? There are several reasons why you should go to the trouble. You can’t calculate current unless you have both GPS and paddles. Current can be avoided or taken advantage of, but only if you know what’s going on. The corollary is that if you use GPS, current is mixed in with boatspeed and you can’t separate them out. Your boat needs to be closely observed to wring the most performance out of it. Performance is monitored using polars, which do not include current. If you are not using paddles, current will pollute your readings. Wind direction is the key item for gaining from wind shifts. If you are not using paddles, current will change wind direction and that direction is not what the boat is feeling. For more detail about why paddles are important, read Why Bother with Paddles and Lee Bow Effect. Telltales are important for performance. However, they are usually used backwards; to steer the boat to the wind. This means you could be going slow at the right angle for the sails because they are trimmed incorrectly or stalled out. Instead, telltales should be used to trim, and helming should pay attention to target speed. The correct way to coordinate between helm and trimmer is to have the helmsman concentrate primarily on speed, and the trimmer primarily concentrate on telltales. There should be communications between them such as “We’re a bit below target. I’m heading off a bit to gain speed, so trim out.” Boatspeed is the proper metric for helming while telltales are the proper metric for trimming.